– Rainy, rainy, rather chilly spring. – Frogtown is experiencing a traditional, long spring as I write these Notes. – Difficult farming; what else is new? We were up two nights in April fighting frost. On the first occasion, the Supreme Commander of the Frost Army made a strategic mistake. Instead of waiting 6 to 10 additional days for bud break to progress in all areas of the vineyard, the Frost General decided to attack on the morning of March 29. At the time of this attack only our Chardonnay grapes had completed break bud and were showing sufficient frost sensitive growth requiring protection. Frogtown marshaled all of its considerable frost-fighting assets and deployed these assets in and around the Chardonnay Blocks. We were ready! The meteorologists predicted low temperatures in a range from 26 Degrees F to 30 Degrees F. We experienced 18 Degrees F right before dawn on the 29th at the lowest elevation of the vineyard not protected by our frost fighting assets. Definition of meteorology: a profession that is predominantly wrong (seldom right; is that redundant?). If SUBSTANTIALLY ALL of Frogtown’s 43 acres of grapes had progressed through bud break; 18 Degrees F low temperature would be devastating. Based on our results, 18 Degrees F (more accurately low 20’s at the elevations of the Chardonnay Blocks) within a week after bud break in these Chardonnay Blocks, not a problem. We commenced employing our assets at 1:30 am when the temperatures at the lowest elevation of the vineyard recorded approximately 30 Degrees F. This is the earliest commencement of frost fighting ever at Frogtown. With all of our assets trained at the Chardonnay Blocks and a deep inversion layer of warm air 5o feet above the Chardonnay Blocks, I do not believe the temperatures at the Chardonnay Blocks progressed lower than 30 Degrees F. It was fascinating experiencing the difference in temperatures (lower) when I traveled away from the Chardonnay Blocks to the other lower elevations of the vineyard. Glad we planted Chardonnay at the upper elevations of the vineyard way back in 1999. The second frost event occurred on the morning of April 5. Deploying our assets was really just a precaution. When you win a frost fight ANY subsequent chance of a frost event should be addressed. Frogtown deployed its frost-fighting assets at 6:oo am on the 5th, a different, much less severe, frost event. The Dahlonega Plateau AVA Application was recently filed with the Federal TTB in Washington. It only took the TTB a few days to say the Application is accepted. While acceptance does not constitute approval, it does mean all of the necessary information is included in the AVA Application. Congratulations to Joseph Forrest, the geologist who prepared and filed the Application. Now the waiting time begins. It could take up to 12 months for the TTB to rule on the Dahlonega Plateau AVA. Our Citizens who were recently at the Dahlonega tasting room, have seen the progress Frogtown has made in improving the Tasting Room (new back deck; connecting the northerly facing covered porch with the back deck, and the Citizens tasting room and library. In preparation of serving Frogtown’s signature Panini sandwiches at our Helen tasting room and the introduction of Pizza’s at Helen, we have received the approval from the governmental authorities to install ventilation and fire suppression equipment at Helen. So soon, food will be available at the Helen tasting room. In March, Cydney and I traveled from California to Las Vegas to attend the National Pizza Exposition, THE pizza tradeshow. Cydney made substantial progress in selecting a brand of imported Italian flour and other ingredients for our pizza offerings. Only made from scratch pizzas for her! We also identified Italian equipment, which we are in the process of purchasing. We presently own four Italian wood fire pizza ovens. Pizza will be offered at all Frogtown Tasting Rooms. At Dahlonega, we are improving the patio tasting area with an enclosed tasting room experience and our pizza offerings will be available only at the new (when ready) patio tasting area. Serving pizza at the patio should also assist in “spreading out” our tasting and food service areas with the intent of making our wine tastings and food service more enjoyable, less crowded. Attached is the Addendum to the February Winemaker Notes, which provides our Citizens information as to what to expect from opening and enjoying a bottle of Frogtown wine, as the wine moves though the phases of maturity. I stated in the February, 2011 Notes, this Addendum shall be attached to all Winemaker Notes as a reference source for our Citizens on drinking Frogtown wines, including newly made and transported wines, and the effect moderate and long-term bottle aging has on Frogtown wines. Within the last two weeks, I have tasted all of our 2011 and 2012 Red wines bottled last December and January. These wines have made substantial progress in their development. My sensory impression of these wines tells me the basic fruit flavors and textures have developed in the bottle. Thus according to the Addendum, these wines are no longer immature. As proof of this development, the 2011 Frogtown Propaganda, has received its first gold medal at the 2015 Finger Lakes International Wine Competition. It is my intent to include in the September 2015, shipment a bottle of the 2011 Propaganda to our All red wine Citizens and our Mixed red and white wine Citizens. Can’t wait?  We will release the 2011 Frogtown Propaganda, 2011 Frogtown 404, 2011 Frogtown Penchant, 2014 Frogtown Marsanne, and the 2014 Inclination in a wine pairing event open only for Frogtown Citizens in June or July of this year. This will “bridge the gap” over the long hiatus between this May Wine Club Shipment and the September, 2015 Wine Club Shipment. The period from May, through September always seems so long as the grape-growing season moves through flower, verasion, ripening, and then harvest. I will be doing my best, making myself and others laugh every day, not taking myself too seriously, and drinking lots of Frogtown wine. Citizens receiving either all red wines or mixed red and white wines shall receive in this shipment a bottle of the 2010 Frogtown Bravado and a bottle of the 2011 Frogtown Bravado. Which one do you like better? Is this a fair competition? The 2010 Frogtown Bravado won a Best of Class, Platinum Metal at the 2014 Critics Challenge International in San Diego California. Is the 2011 Frogtown Bravado a worthily successor? The opportunity to enjoy these two bottles of Frogtown Bravado is not to determine which bottle you like better. There is a year and a half difference between the bottling of the 2010 Frogtown Bravado and the 2011 Frogtown Bravado. Not a fair comparison. The opportunity afforded to our Citizens receiving these wines is to compare what an additional year of bottle age has on a Frogtown Bravado wine. Both wines are excellent wines. In time the 2011 Frogtown Bravado could deliver an even more wonderful tasting experience than the 2010 Bravado. Will this happen? Will the 2011 Bravado win Gold, Platinum, Best of Class in California? After you taste the 2011 Bravado, your guess is as good or possibly better than mine. I am extremely proud of both of these wines. Citizens receiving three bottles of red wines will receive a bottle of 201o Frogtown Bravado ($40.99), a bottle of 2011 Frogtown Bravado ($40.99), and a bottle of 2012 Frogtown Personality ($26.99). Citizens receiving these red wines enjoy a discount of 20% to reduce the Citizen cost for pick-up of $93.27, which includes sales tax, and the addition of $12.84 shipping (we now must charge sales tax on shipping) results in a cost for these wines shipped of $ 106.11. Citizens receiving these red and white wines enjoy a discount of 20% to reduce the Citizen cost for pick-up of $94.98, which includes sales tax and the addition of $12.84 shipping (again, we must now charge sales tax on shipping) results in a cost for these wines shipped of $107.82. Citizens receiving three bottles of white wines are receiving a bottle of the Frogtown 2013 Petit Manseng ($27.99), a bottle of the 2011 MRV ($20.99), and a bottle of the 2011 Frogtown Sauvignon Gris (19.99). Citizens receiving these three white wines shall enjoy will a discount of 20% to reduce the Citizen cost of these wines to $59.03, which includes sales tax and the addition of $12.84 shipping (again, we must now charge sales tax on shipping) results in a cost of these wines shipped of $71.87.